There are 2 ways to Import OVPN config files to your iPhone or Ipad. No need to jailbreak your device and it is free. 1. 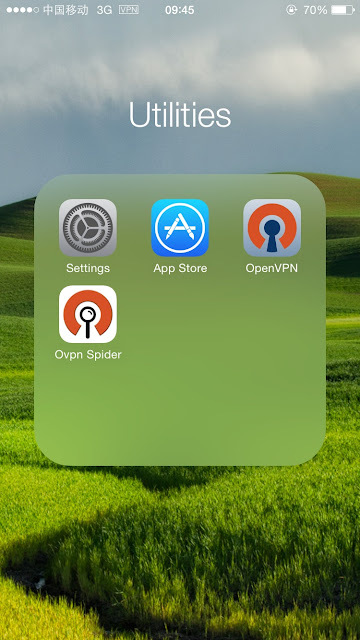 Download OVPN files from your VPN provider in your PC (Windows or Mac OS). 3. From your PC, send an email to yourself (your own email). Make sure you upload (attach) OVPN files and send the email to yourself. 4. You need an email application in your iphone as well. For example, I use YahooMail as my email. So, I need to install YahooMail app from App Store. 5. After that, open your email and find the email that you send to yourself. 10. Click the + (plus) button and enter your username and password. 11. Click Save password if you want. 13. You are now connected to VPN now. Enjoy. 1. Download UC Browser from App Store. 3. Open your VPN provide website and download the OVPN config files. 4. Open the download section in UC Browser and click on the one of the OVPN file. 5. Now follow steps number 7 until steps number 12 from TUTORIAL 1 above. 6. You are now connected to VPN now. Enjoy.